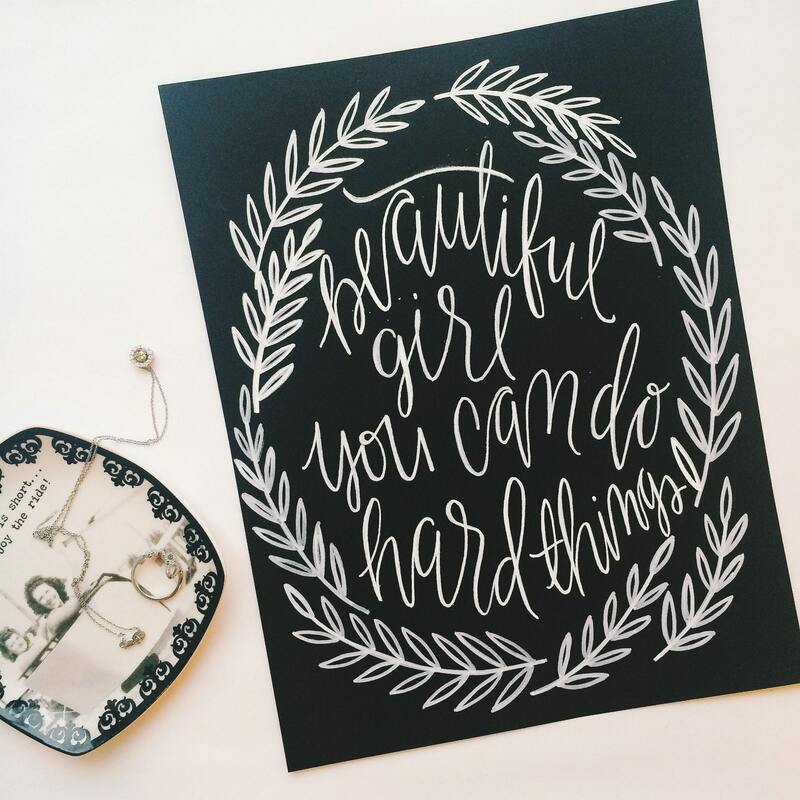 This chalkboard look print created in my signature funky hand lettering is the perfect inspirational you piece to add to your wall decor or gift to your girl who might be going through a tough time or a break up this season. 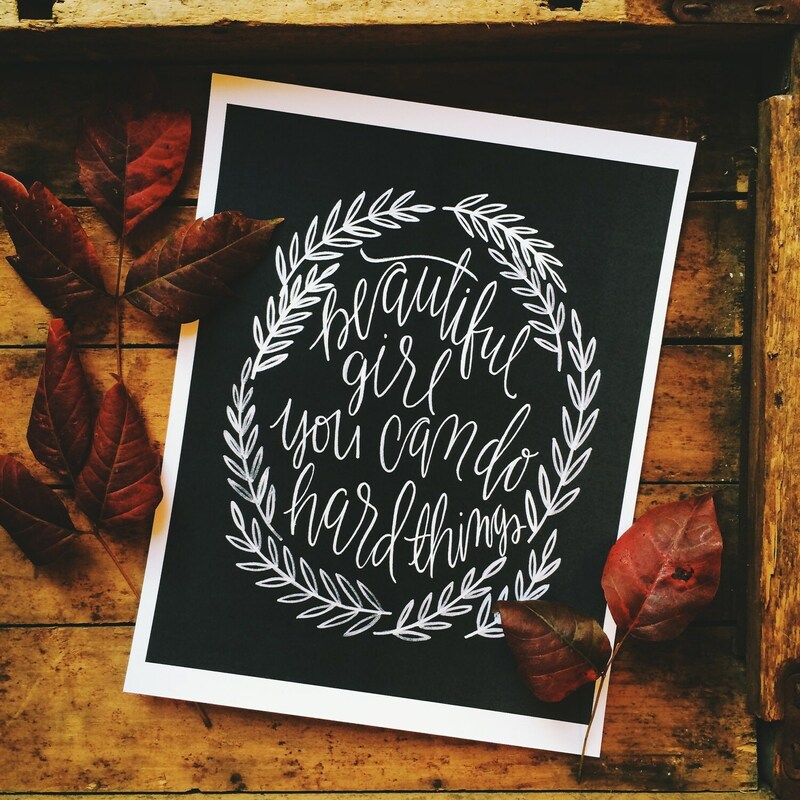 The perfect reminder that beautiful girl you CAN do hard things. Professionally printed at my local print shop on heavy weight card stock and shipped in a rigid mailer to ensure safe deliver. 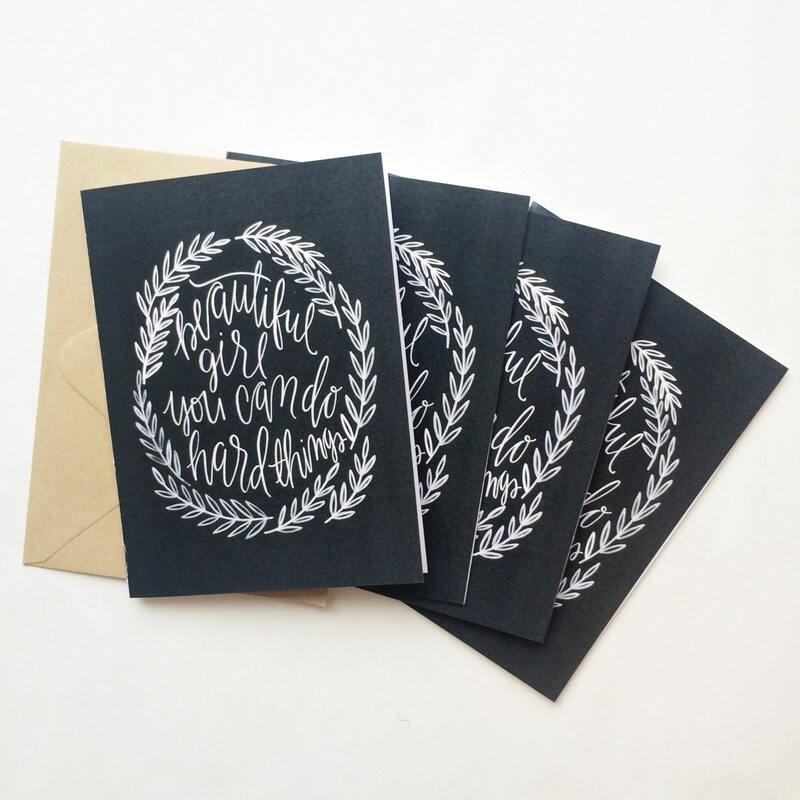 Also available as a card!